Back in the golden muscle car era, in the Chryslers dealership the customer can order his final built vehicle with the parts from a different model. 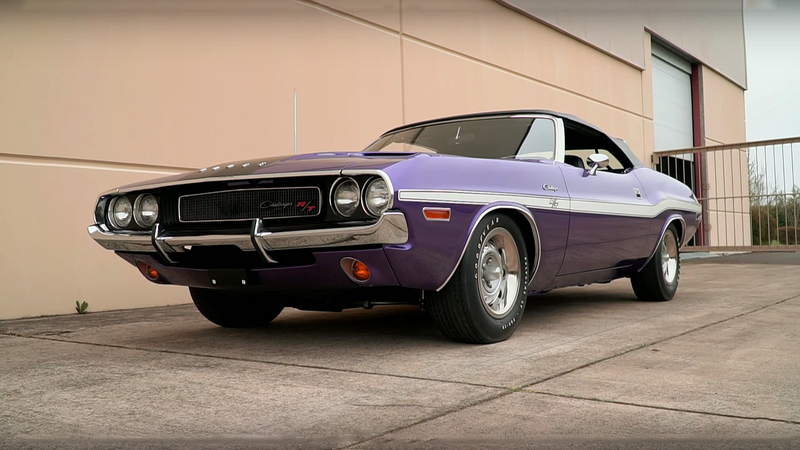 The best example of that kind of package is this 1970 Dodge Challenger R/T 426 Hemi with the fiberglass N94 hood, which originally was made for the T/A (Trans Am) model. This 426 Hemi Challenger R/T beside the black hood, also has, or doesn’t have any of the regular features. For example the side mirrors, the side black R/T stripes, inside also doesn’t have the radio and the A/C unit. But inside is equipped with woodgrain dashboard and steering wheel, in combination with the beautiful black leather interior. 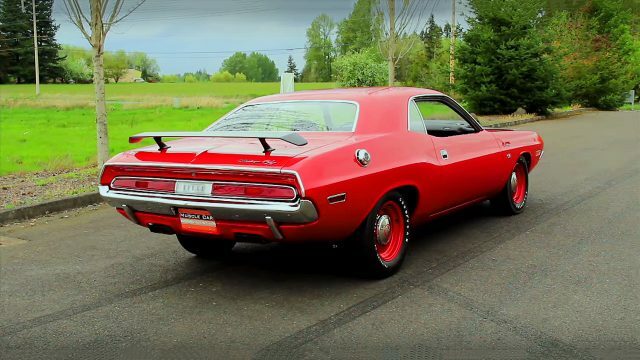 But most important is the fact that this 1970 Dodge Challenger R/T was built for performance. 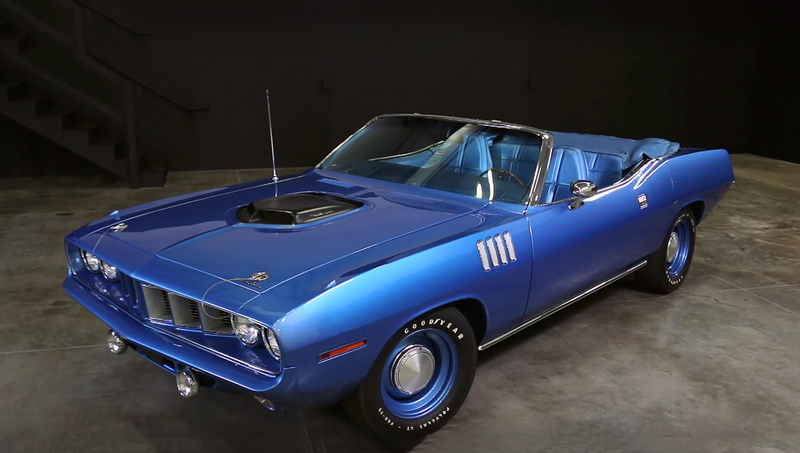 Under his fiberglass N94 hood is equipped with the legendary Chrysler’s 426 cubic-inch 7.0 liter big-block Elephant Hemi V8 engine, producing 425 horsepower and 490 lb.-ft. of torque. The TorqueFlite 727 3-speed automatic transmission is connected with 4:10 gear in Dana 60 rear axle, which spins the 15-inch steel wheels equipped with Goodyear Polyglas GT tires. Writer of the article really needs to do more research. 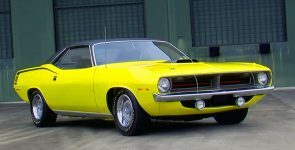 It’s a well-documented fact that some Hemi Challengers shipped with the Challenger T/A hood due to an issue with the “Shaker” hood. So, it was either the car ships with a standard “Rallye” hood, or the buyer got a Challenger T/A hood. This is not a case of the original buyer ordering the car with a hood not intended for the model. Rallye Dash was standard with the R/T. As was the woodgrain steering wheel or optional “Rimblow” Steering wheel. Lack of radio? Radios were optional. The buyer didn’t have to get one. Also, the mirrors were optional. This car has the standard mirrrors. Stripes could be deleted. The buyer could specify “No Stripe” but at no credit to the buyer. 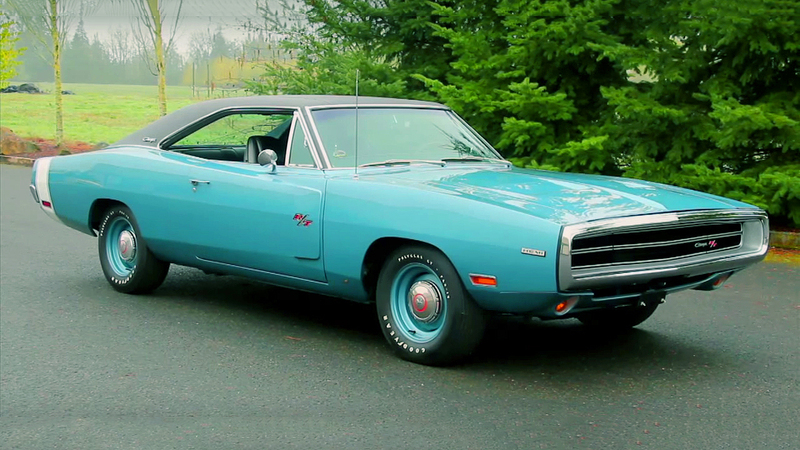 And lastly, and most heinous….. Hemi cars could not have Air Conditioning.